Jason, our favorite local chef, is back this week to celebrate National Men Make Dinner Day! This burrito bowl looks irresistible. With Jason’s helpful instructions below, we are confident anyone could make this tasty dish for dinner. If you decide to try it for yourself, let us know how it went in the comments! Also, we think that the perfect topping for this bowl might be Salad Girl’s Chile Limon Fresh Organic Vinaigrette. Check them out in this week’s Customer Corner feature! Thursday November 2nd is National Men Make Dinner Day. 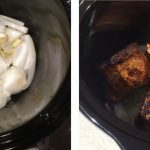 So, here is a “man-worthy” recipe for crock pot pulled pork I think you all might enjoy. 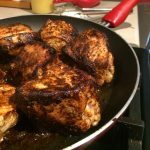 I am no stranger to the kitchen having been a professional chef for 10+ years now, but I think nowadays its becoming more common for men to be cooking meals at home for their families as apposed to thirty or forty years ago. This could correlate to the increase in popularity of things like the Food Network and reality chef show competitions as well as more men going into the cooking profession. 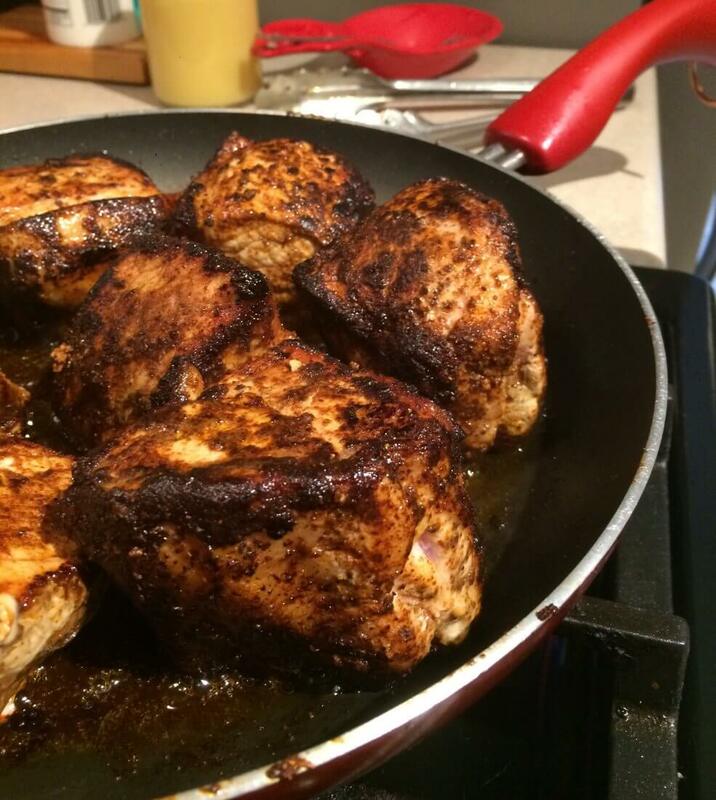 Either way, I am happy to be able to cook meals for my family on a regular basis. Although, some days I can admit to being “burnt out” and needing a break having spent the whole day working in a kitchen. These days tend to be days we decide to eat out, or my wife will cook dinner. However, I rarely don’t cook our dinners at home. Whether its something special, like this pulled pork, or just whipping up some Mac & cheese with hot dogs. I love that we all sit together and eat dinner as a family. Overall, I think its important to have that time sitting at the table with one another. First, cut the pork in to smaller pieces. Basically, cut each loin roast in to quarters to get a more even cook on the meat. Once the meat is quartered, rub the chili powder and cumin in to the meat. Then, sear it in a sauce pan over medium heat with a little canola oil. Cook the pork for about ten minutes. Be sure to get a nice even sear on all sides. Searing the pork is especially important to lock moisture in to the meat for the slow cooking method. If you skip the searing step, the pork could easily get dried out if put directly in to the crockpot. 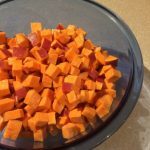 Just before the pork is done, peel and dice the sweet potatoes. Prepare them by tossing them in a mixing bowl with a little oil, salt, & pepper. Then, roast in the oven at 400 degrees for about 12 to 15 minutes. 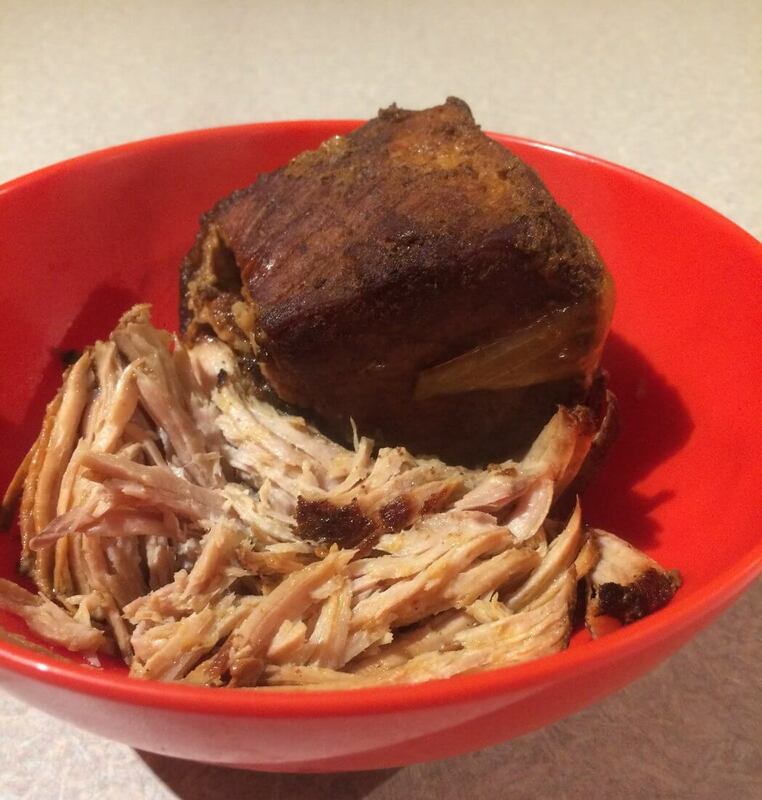 Once pork is done, take it out of the crock pot and strain the juice, saving for later use. Shred the pork with a fork. If done, it should fall right apart. Now for the fun part! 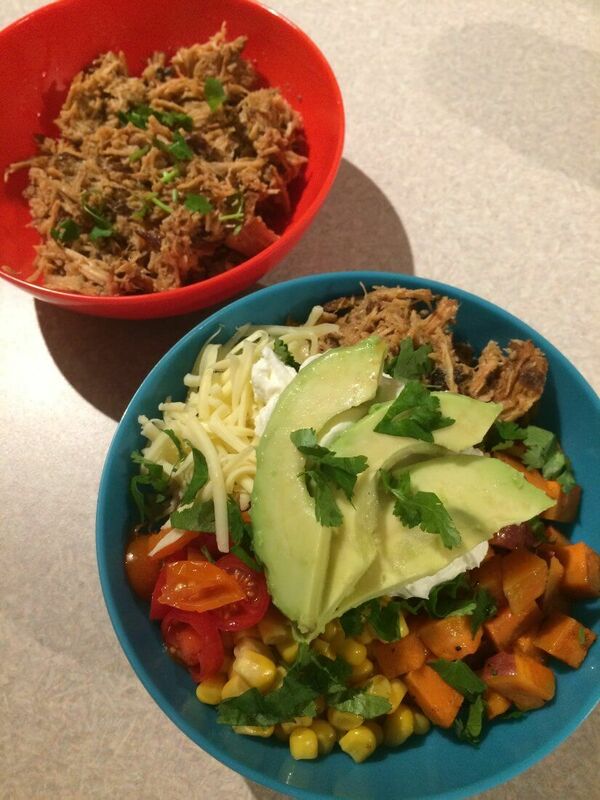 Build your bowl however you like. Personally, I like a little bit of everything including cilantro, cheddar cheese, salsa, & sour cream. That’s the beauty of this dish; once the pork and potatoes are done, everyone can just build their own burrito bowl how they like. 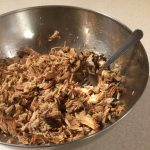 This pulled pork recipe is quite versatile and could be used in a variety of other dishes such as; tacos, quesadillas, enchiladas, & BBQ sandwiches. 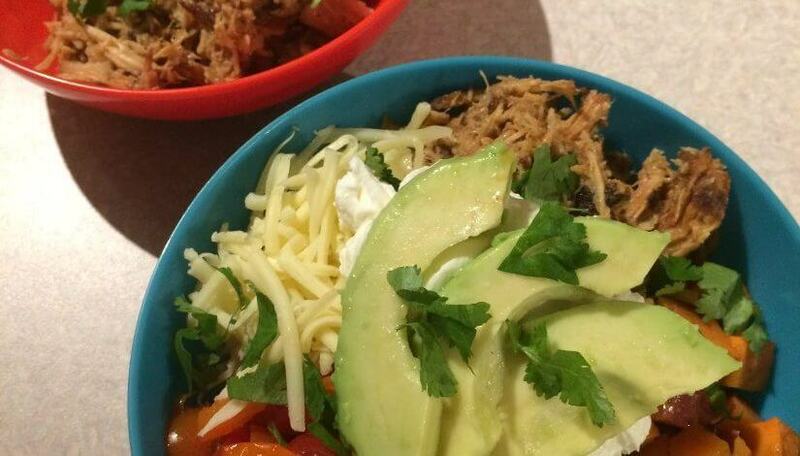 In celebration of National Men Make Dinner Day - This burrito bowl is irresistible! Cut each pork loin roast into quarters. Rub the chili powder & cumin into the meat. Sear meat in a sauce pan over medium heat with oil for about 10 minutes. Put the onion, garlic, & bay leaves into the slow cooker & place pork on top. Mix apple cider vinegar & maple syrup together. Pour over pork. Set slow cooker to low setting & let cook for 6 to 8 hours. 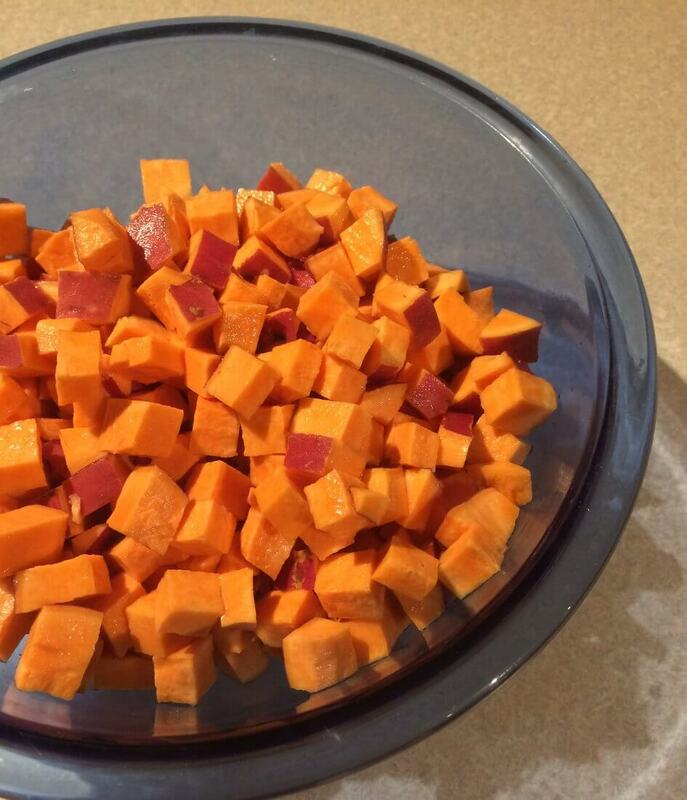 Shortly before pork is done, peel & dice the sweet potatoes. Toss them in a mixing bowl with oil, salt, & pepper to taste. Roast in the oven at 400 degrees F for 12 to 15 min. 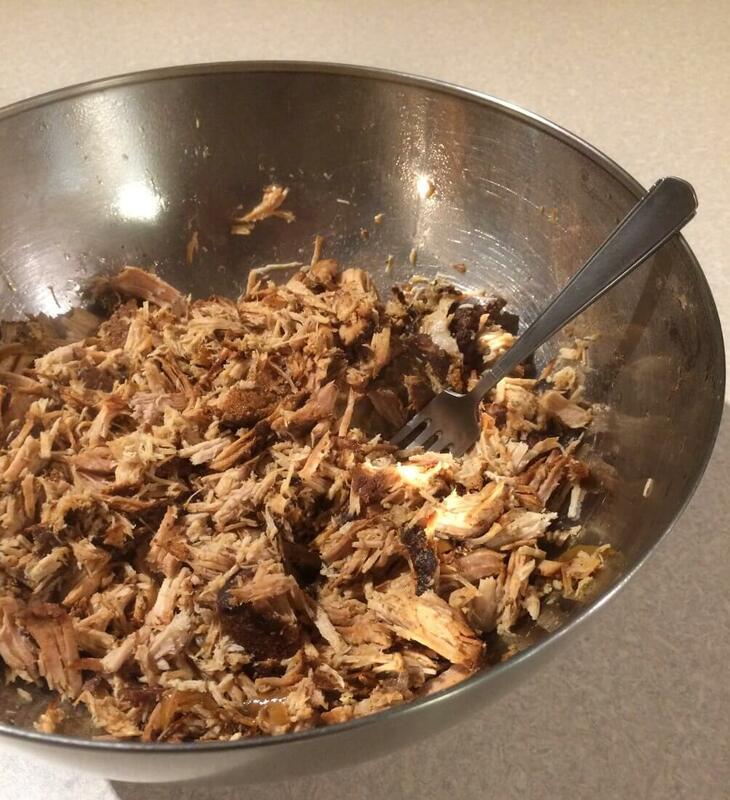 When pork is done, remove from slow cooker & shred with fork. 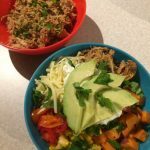 Build burrito bowl with sweet potato, pulled pork, and toppings of choice such as avocado, sweet corn, grape tomato, cilantro, cheddar cheese, & pickled jalapeno.